What is Portofino Island Resort? Portofino Island Resort is the ultimate Gulf Coast getaway and Pensacola’s premier family-friendly resort destination. Where is Portofino Island Resort located? Portofino is situated on 28 beautiful acres in Pensacola Beach between the emerald waters of the Gulf of Mexico and the gentle shores of Santa Rosa Sound. It is also adjacent to the pristine Gulf Islands National Seashore. The land itself is called Santa Rosa Island; it is the world’s largest barrier island. Portofino’s beautiful waterfront location, stunning accommodations, world-class resort amenities and customized service standards – make it a natural indulgence. No other resort is located on the Gulf of Mexico, the Santa Rosa Sound and the Gulf Islands National Seashore. The vast complimentary and discounted amenities make Portofino Island a great vacation value. How can I receive Premier Benefits? What should I bring with me to the resort? 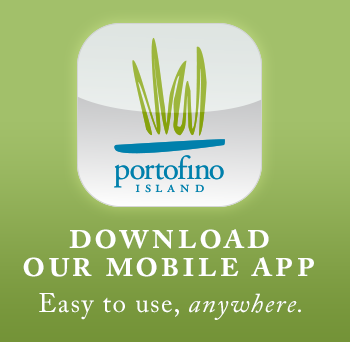 Is Portofino an independently owned and operated property, or it is part of a family of resorts? Portofino Island Resort is an independent condominium resort. There are 765 condominium accommodations on the resort that are privately owned. Of those, more than 300 have been placed in the Premier Island Management Group vacation rental program. Those accommodations are rented to vacation travelers on a daily, weekly or monthly basis. How many accommodations does Portofino Island Resort have? Portofino features more than 300 two and three-bedroom designer accommodations within five Mediterranean-inspired towers. Each accommodation features a gourmet kitchen, master bedroom with spa bath, living area and sweeping water views of either the Gulf of Mexico, Santa Rosa Sound or the Gulf Islands National Seashore, and depending on the Tower, perhaps more than one water view. What sports and activities are available at Portofino? 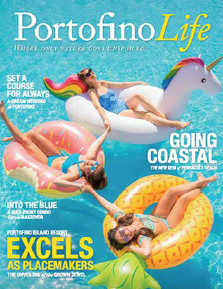 Portofino offers a number of recreation activities including sailing, kayaking, paddle boarding, boogie boarding, surfing, cruises, tennis, golf (off site), fitness classes, running club, personal training, hiking, biking, excursions and more. Unfortunately pets are only allowed when the owner of the unit is occupying the unit. However, there are many available local animal boarding’s to use for your convenience. What dining options are there at Portofino Island Resort? What are the hours of operations at Portofino Island Resort? How does one get around at Portofino Island Resort? Enjoy resort-wide tram service. Board the Portofino I catamaran and cruise to the Portofino Boardwalk to enjoy local dining, shopping and entertainment. Rent a bicycle and pedal across the resort and local area. Hike or stroll the resort and area beaches. New to Portofino Island Resort, The Experience, Premier Island’s limousine bus service offers an exciting, unforgettable way to explore the island and nearby downtown Pensacola. What meeting facilities are available for groups at Portofino? Portofino hosts groups for meetings, incentive groups, family reunions, executive retreats and board meetings. What is the resort’s address and telephone number?